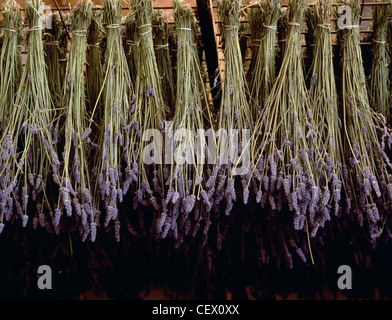 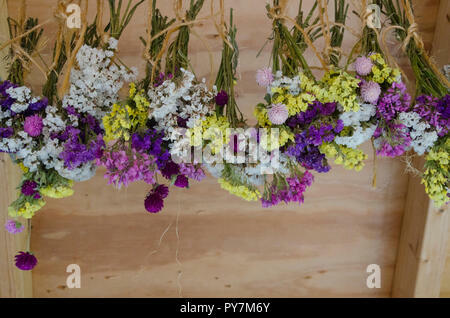 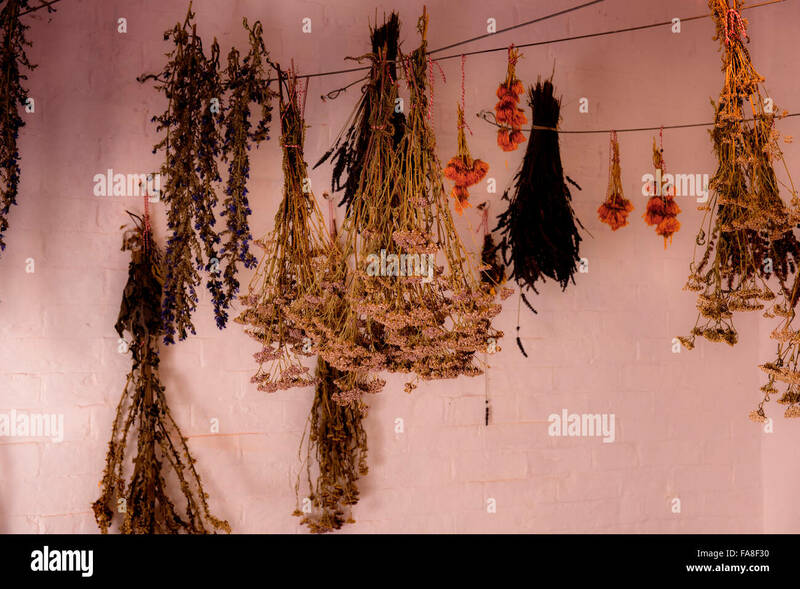 Bunches of dried flowers hanging upside down during the process of drying flowers. 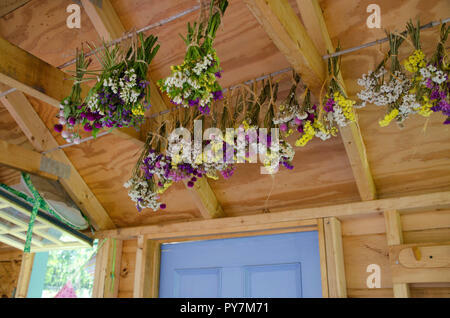 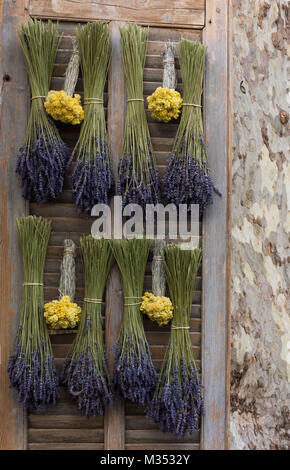 Dried lavender and dried straw flowers hanging upside down on a wooden shutter. 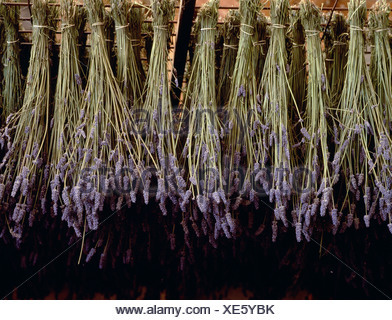 A plane tree is on the right.